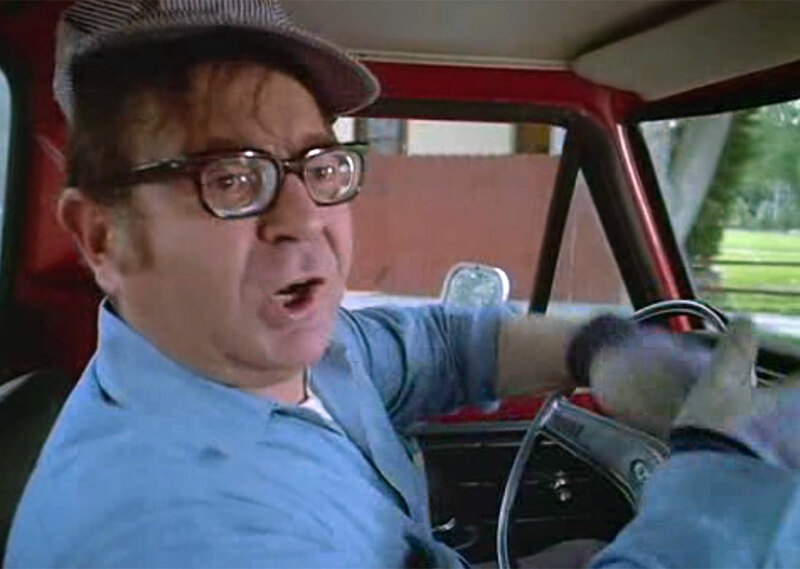 Update: Veteran actor Marvin Kaplan died Wednesday of natural causes, he was 89. 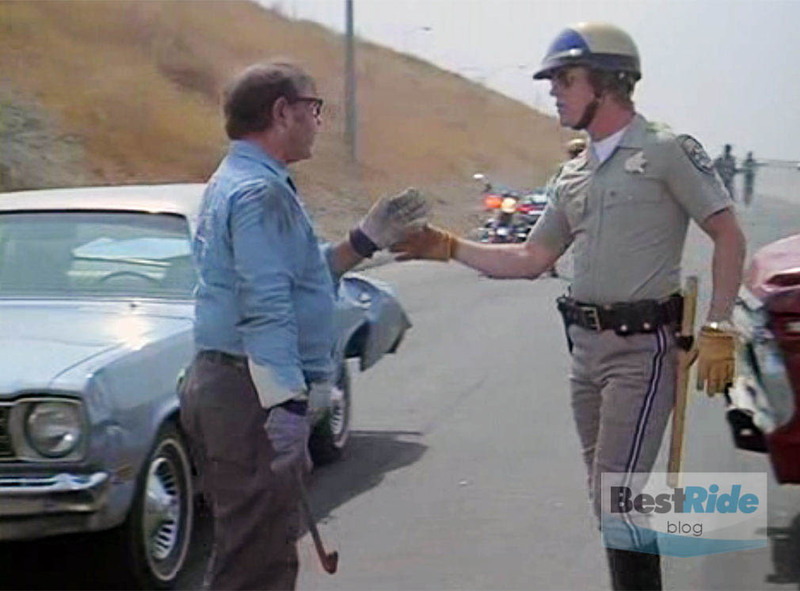 Here’s a look at the “CHiPs” episode in which he guest-starred. 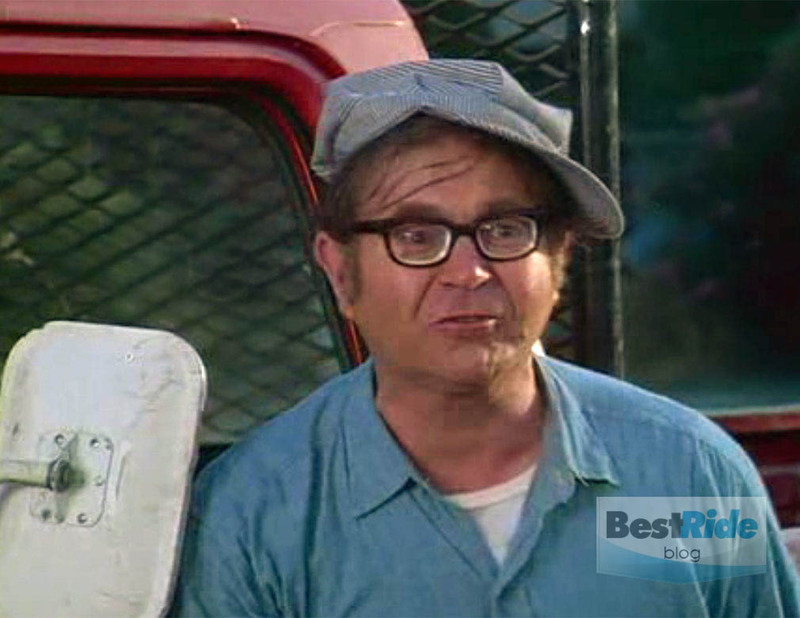 He drove a mean truck! Sometimes people get cranky and yell at other drivers. 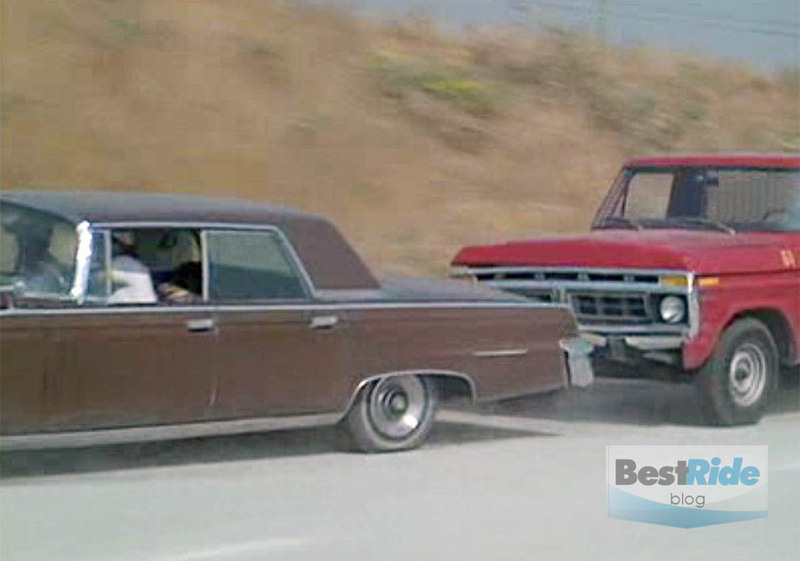 In the world of TV’s “CHiPs”, one guy goes beyond that with a road rage rampage in his Ford pickup. Fighting with your boss is never easy. 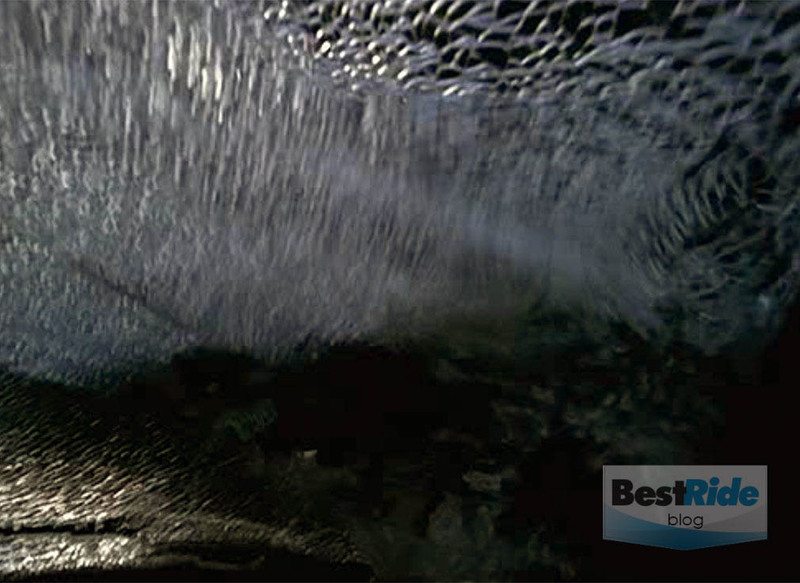 If it’s on a television show, then it will probably end up in a lot of screaming and yelling. In this case, our aggressor has been terminated. So he heads to his truck while getting in his last licks. Hang on: our hothead looks familiar. 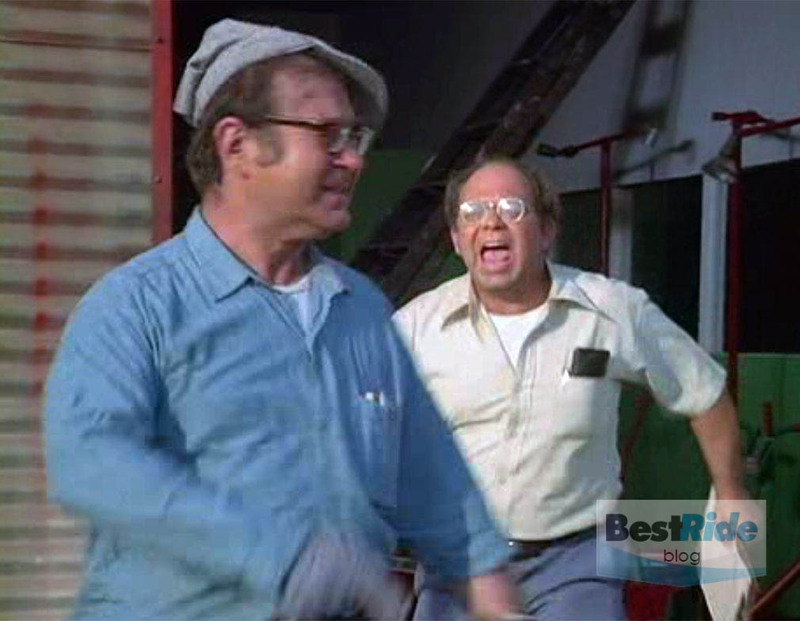 Kaplan is the gas station attendant to the right of Jonathan Winters, just before Winters tears the place down. 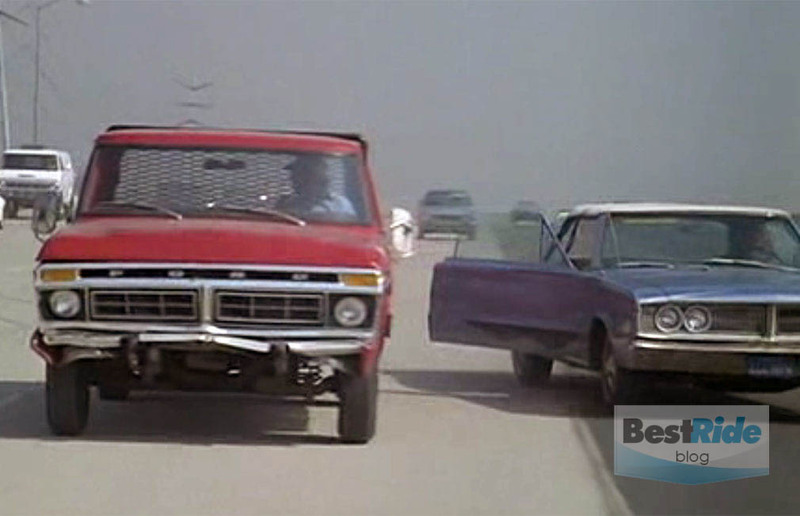 As we shall see, vehicular mayhem seems to follow Kaplan around, because he’s off in his truck to vent some anger. 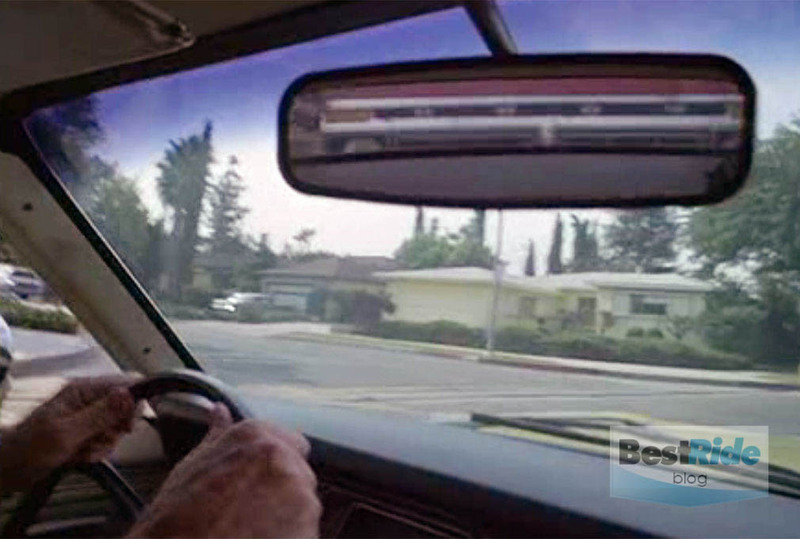 …and we see the Ford in the Duster’s mirror as it hits from behind. 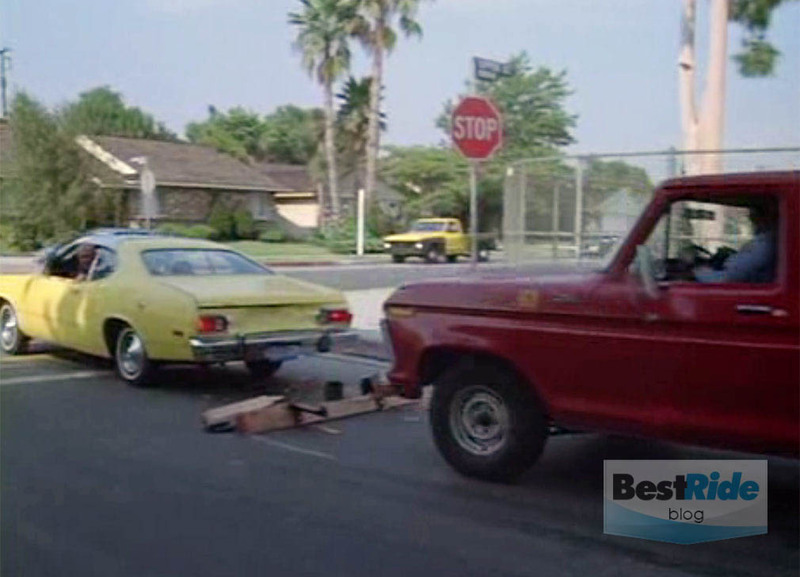 The pickup reverses and slams the Plymouth again, losing its wooden front bumper in the process. 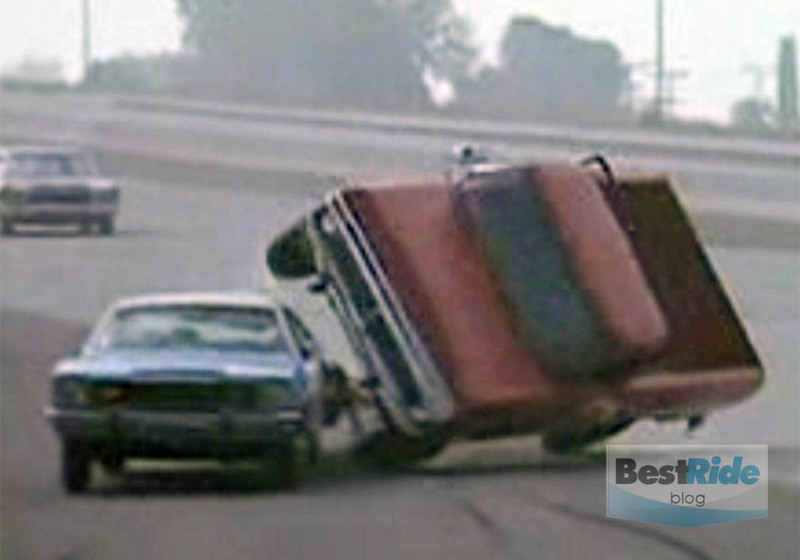 The Duster’s driver is understandably unhappy about this. 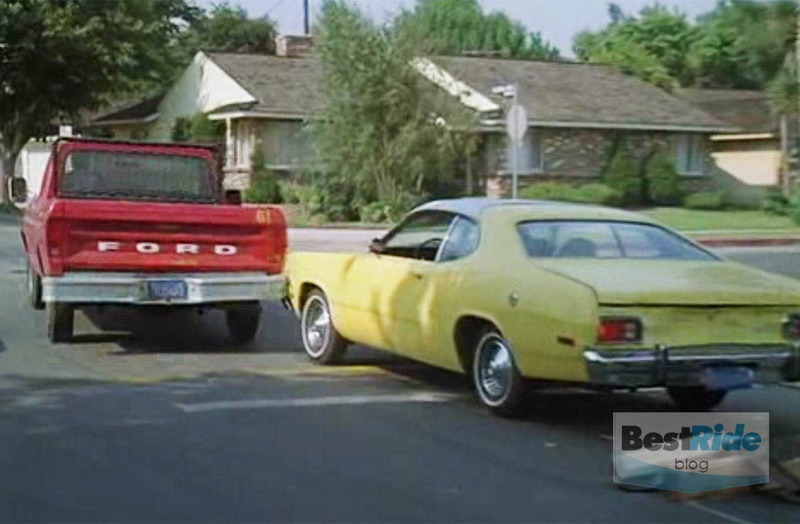 This Plymouth was just a few years old when this was filmed, so its white vinyl interior still looks pretty good. 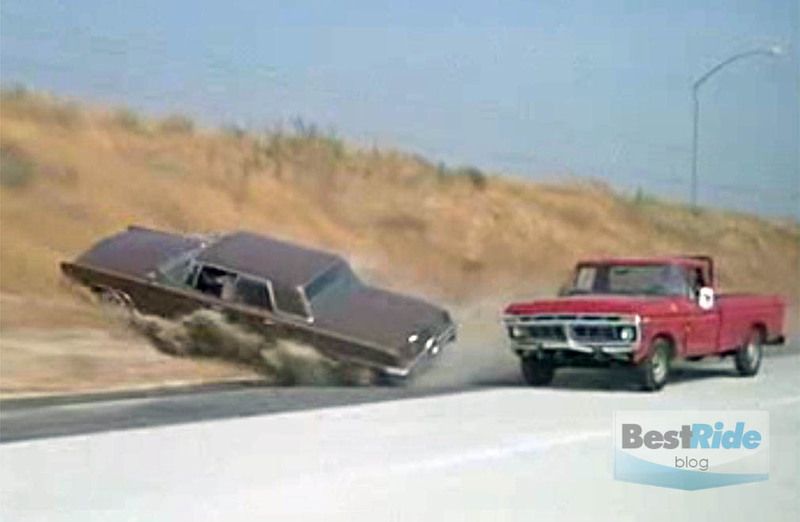 …and the Ford scrapes the Plymouth’s front corner as it flees the scene. 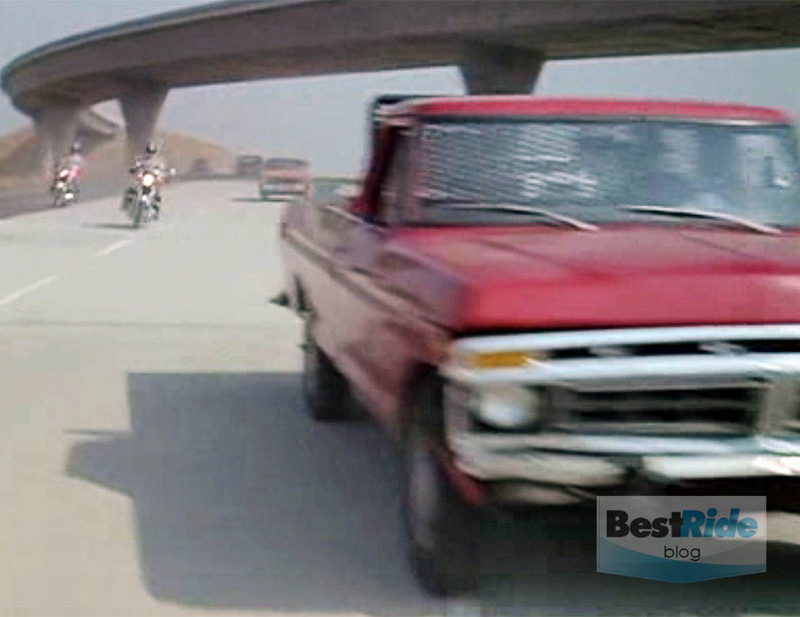 Now it’s time to bait for Ponch and Jon by heading for the freeway, and our two-wheeled heroes quickly pick up the scent. An in-truck view gives us chair height seating to select the next victim. 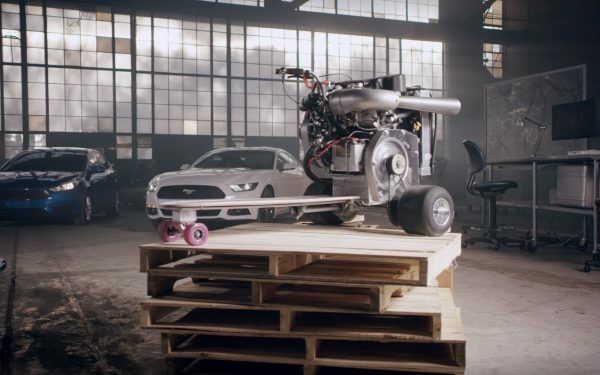 No, it’s not the Trans Am, or the ’70’s-popular Honda Civic or Datsun Z-car. …whose door came open after the Ford’s attack. Then it’s an Oldsmobile‘s turn. The aptly placed gouge in its side indicates this is probably the second or third take for the Olds to get its whack. This next one is the harder to watch; it’s a straight-bodied Imperial that is struck from behind. The Imperial pulls off to the right with its rear whitewall tire disappearing under the rim. Perhaps an intentionally low tire pressure to keep the tail in line? The Imperial then pulls a dusty, 90-degree spinout up the hill. Cringeworthy, because it appears the only dent on that now-valuable Imperial is the one the truck pressed into its trunk lid. 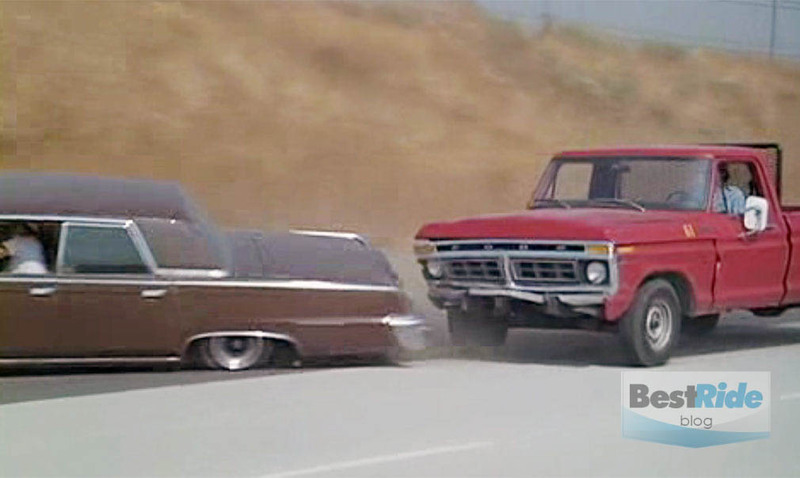 Many “CHiPs” chases end with either a fire or a flip, and this time, the pickup does the latter. 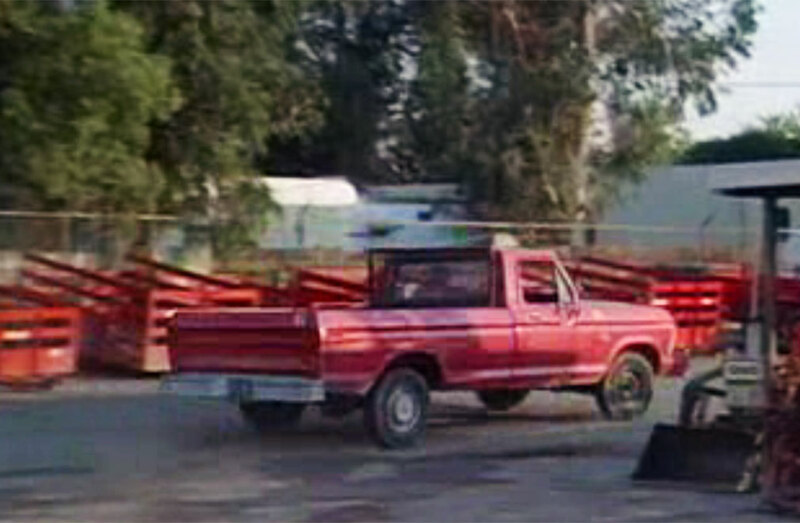 Note the car that the truck is using as a ramp – it’s another Duster, a blue one. 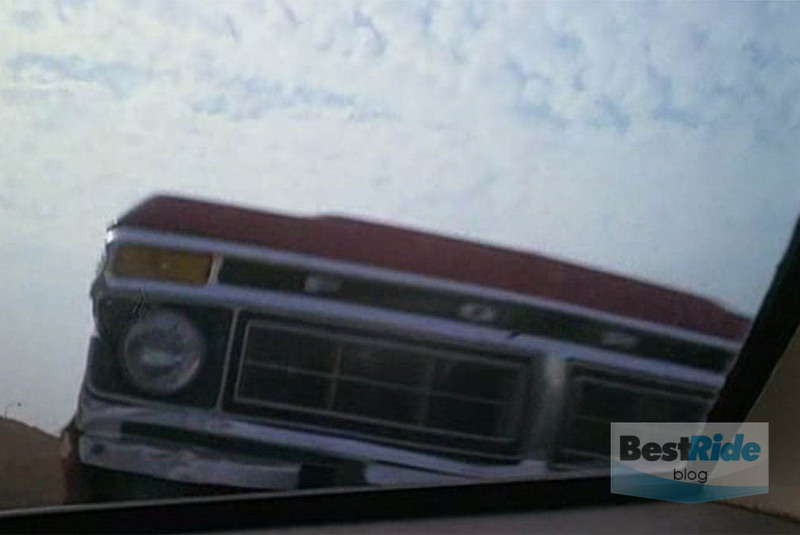 Find a Plymouth Duster near you with BestRide’s local search. 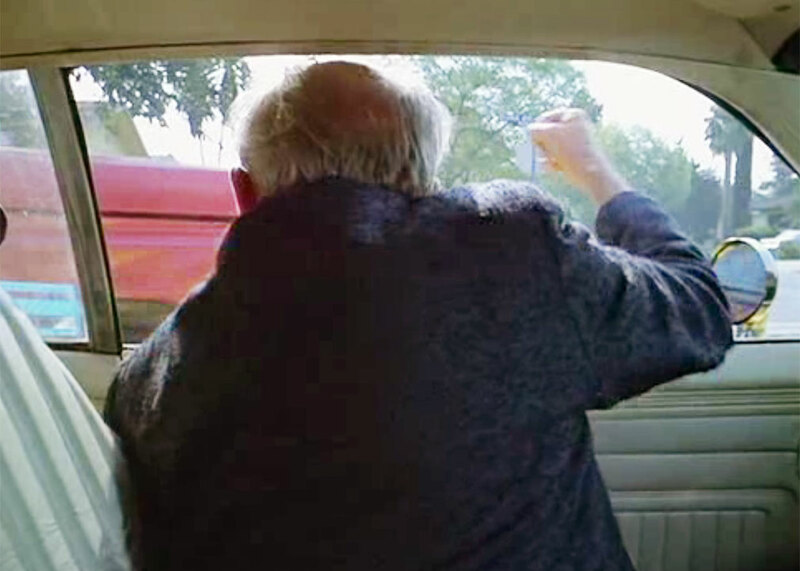 …and then smashing out the rear window. 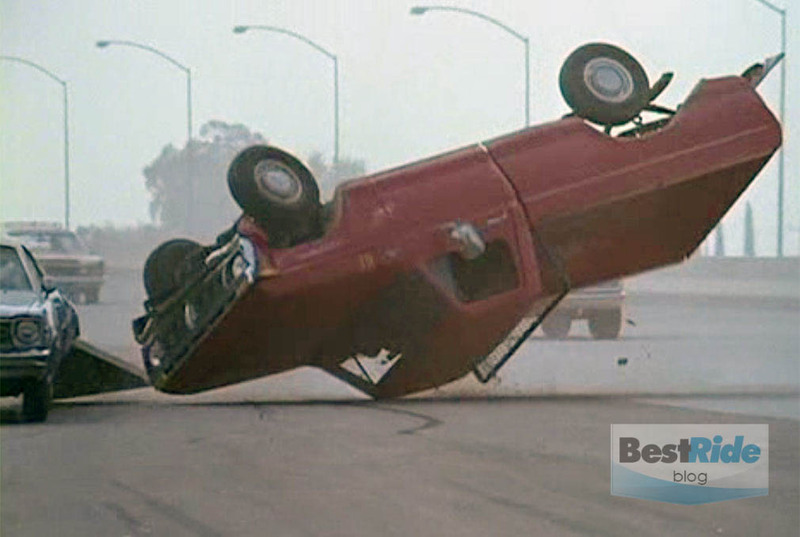 The truck goes over…thanks to an actual ramp that was attached to the Duster. The ramp was removed for subsequent shots. 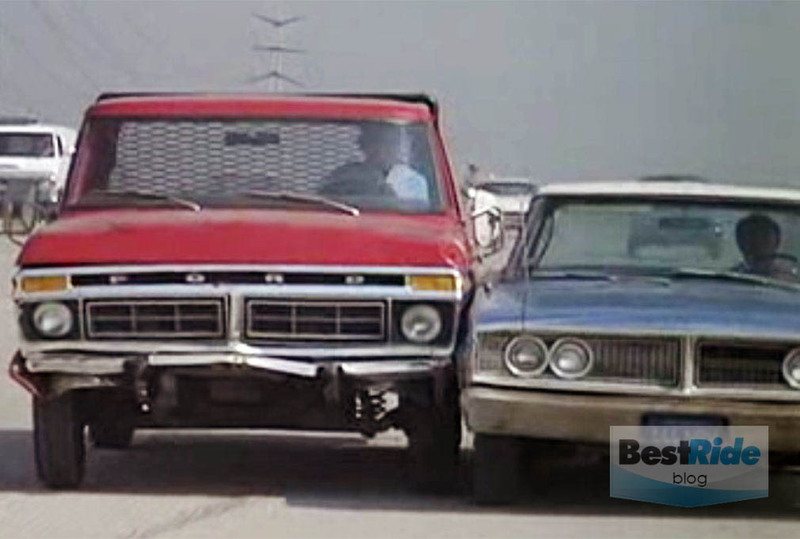 The truck lands hard on its left-side tires..
…but Kaplan’s character still pops out with the verve to challenge Jon with a tire iron. From this shot, we see that the blue and yellow Dusters are one in the same. 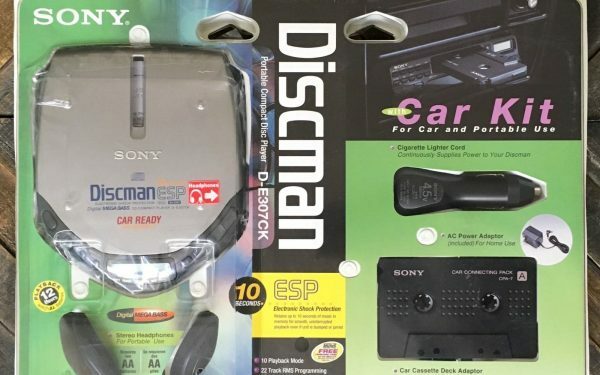 The giveaway is the front-corner damage that was scraped into the yellow one and persisted with the blue one. 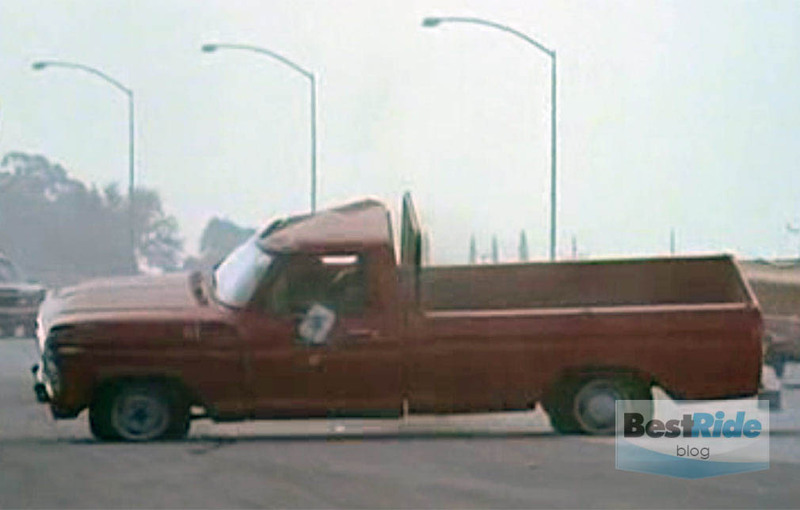 We doubt the Ford was fixed up after its rollover, and the crumpled Duster looks done as well. Both served the production team well in participating in multiple crashes before coming to their end. We still want that Imperial, though. Even with its fresh dent. Find an Imperial of your own at BestRide.com. 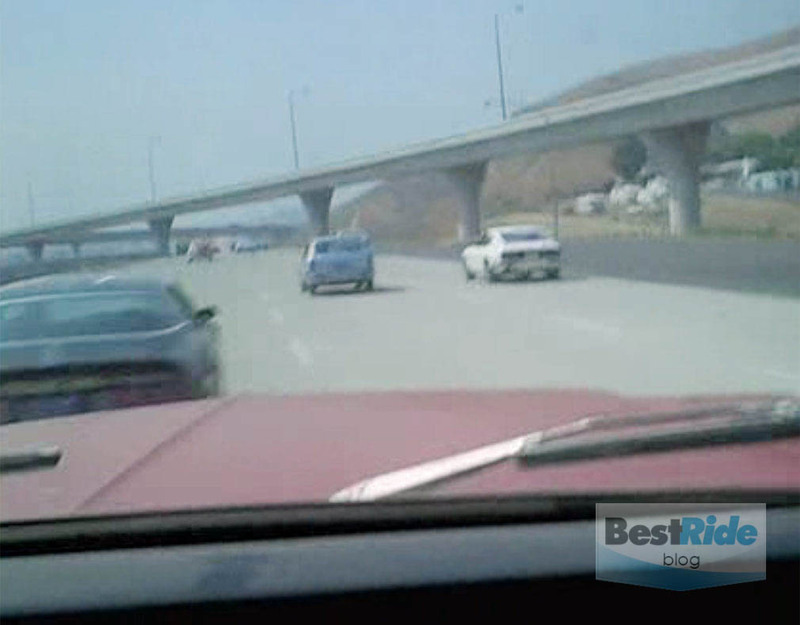 VIDEO: Man Runs Motorcycle Off Road, Road Rage or an Accident?